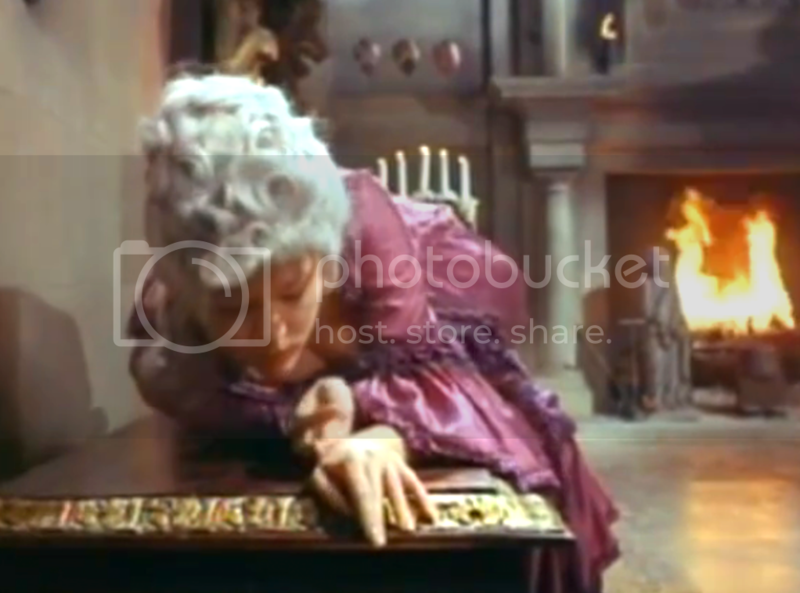 From 1967 to 1790 to 1570 - Mrs Peel in Georgian attire in Escape in Time. They're just screen grabs aren't they?? ...a bit of Patrick & Rigg. and wonderful photo in good quality which I have long sought after seeing in some magazine. Great shots, Denis. Diana with her poodle is particularly cute. The other two are unusual because they're onset but very clearly publicity--Patrick and Diana are looking directly at the camera as opposed to acting a scene. Last pic is my most favorite color photo of a series "Diana and poodle", a very successful shot. Here poodle looks very nicely and we can see his better than in the other photos. Jay, I just found a scan of page from a some magazine for july 1967, where I first saw it. Turns out it's a different variant. Photos on set, I'm sure, made ​​during the production of the episode "The Positive-Negative Man". Previously there was little high-quality shots from this photo series, but soon I will publish my collection from it in a separate section. Hmm, interesting, costumes of Patrick with Diana on the second photo - in the same costumes they were on an interview with Joachim Fuchsberger. 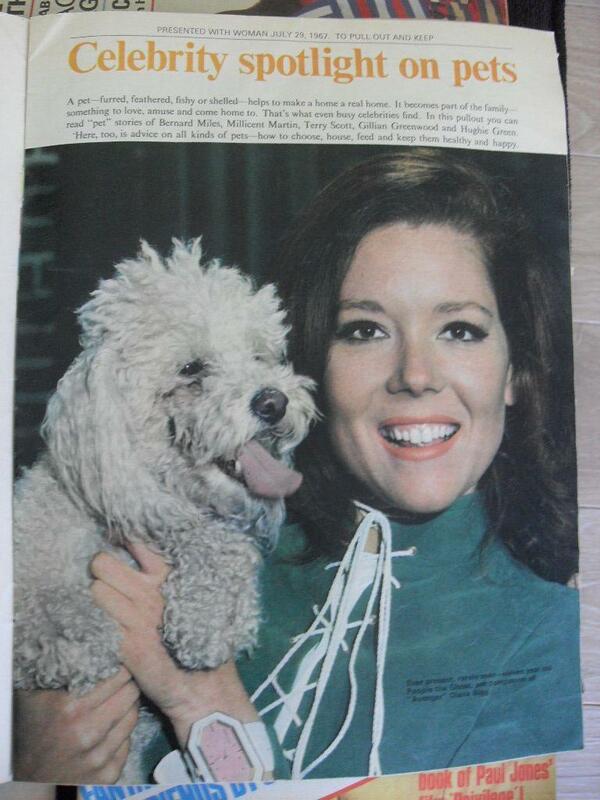 Aw, the poodle started acting up a bit in the magazine one--Diana looks amused. It's a cute picture. Perhaps the other shots were taken around the same time as the interview. They do seem unusually "staged" for photos taken onset, but if the German press was there looking for some exclusive shots, they might have had them pose around the set for their benefit. yes adorable poodle and pic. Thanks again Denis. Always love behind the scenes shots. Not sure how rare any of these are but just in case.